Random Thoughts: Magna Carta sold??? This would really have been a big moment of the gentleman who purchased the manuscript of Magna Carta. Had I such amount of money to spare, I would surely have gone ahead to buy one for myself. Its only once in a life time that you get such opportunities. Thought I did get my fair share when I found an original text copy of the ancient document in my college library. [You can see the pic on top]. But whats really the fuss about it. Whats the big deal behind it? For non-starters, it is the Bible of Law. From it stemmed the 'Bill of Rights' (US people, does it ring any bells???) and from it came the notion of rights. Magna Carta marked the transfer of power from the King to the people and thus came the notion (though not really then but gradually) of 'people sovereign' rather than a sovereign King. In a one-man-show system of governance when the King was all powerful and mighty he could do whatever he wanted; even arbitrary and unworthy tantalizing orders could be passed in the name of the King. You all must have heard about the medieval ages or the 'Dark ages' when might was right and being poor or powerless was simply a crime to be paid for by life or years of servitude. It was at this opportune moment that Magna Carta marked the arrival of justice and being in the legal system. A strong parliament and mighty opposition from the peasantry forced a weak king to sign a document, which was to confer certain rights with the people and thus devoid the king of his all-engrossing power. Also conferring rights to courts to issue writ of habeous corpus (which in turn allowed them to secure a person from illegal detention or otherwise being unable to exercise his freedom of life and liberty) and also other rights on the people at large and through the Parliament. 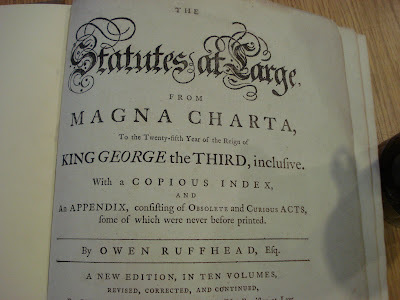 In a sense the signing of Magna Carta could well be symbolized as transgression from Hobbes' model of social contract (where King was all mighty and had all the rights) to Locke's model of social contract (where King was all powerful but the people had certain rights reserved with them which could not be violated, such as the right of life etc.) and thus laid the platform for the modern democracies as we see them today. Well most of you would be wondering what is the big deal about it. After all its all the same now. But then you must look in the context in which it was signed (or rather made to sign forcibly). It was only because of such a document that a revolution as mighty and blood-clad as the French Revolution or the Russian Revolution did not take place in England. No doubt there were small uprisings and even a king was beheaded but it was only because the King in place gradually conferred rights and privileges to the people that there was no uprising as to the scale of a Revolution. Putting Magna Carta in perspective today, it may not be of any importance today except archaeological but surely it gives insight into the importance of adopting with times and the need to equate people with people. Certainly a dual class of citizenship does not carry the system far. I have now come across a lot of literature calling for abolition of Monarchy in UK. Perhaps in the same situation would be have been the King who signed Magna Carta, citing the need of times. It would be no big surprise if it does take place one day. That would be something similar to Magna Carta - Part II; conferment of all rights on the people. I am not sure of the timing but am sure this is bound to happen one day.